Whether you’ve taught your kids to ski or not, there is no time like the present to experience one of New York’s many ski areas. January is Learn to Ski & Snowboard Month with some participating resorts also offering specially priced learn-to-ski packages. 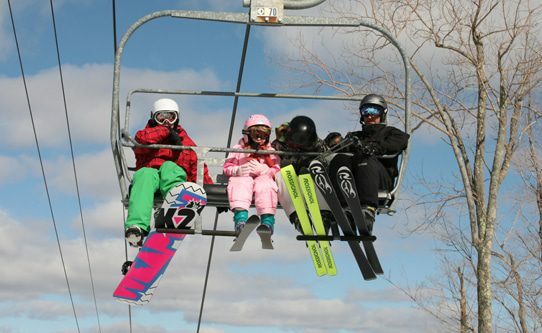 From now until January 9th, the Ski Areas of New York (SANY) are teaming up to offer 10,000 Lift Tickets for just $10 each to be used for a one-day skiing extravaganza on January 10, 2013. This is the perfect opportunity to hit the slopes in New York! I Ski NY is also offering a 4th Grade Ski & Ride Passport Program where students can ride free up to three times at each participating ski area. Terrain: 40 trails and a 6-lane Snow Tubing Park on over 126 acres and a 1010’ vertical drop with the longest run at 1.5 miles, open day and night. Child-friendly perks: Skiing and snowboarding for kids of all ages, a Race Training Program, ski school programs and there is a Six Flags Resort just four miles away. Best time to go: The best time to hit Ski West with the kids is mid-week, during the day when it’s almost like having your own resort. Good to know: Adults can ski for $40 after 4pm. Accommodations: Many choices but no ski-in, ski-out. Moving further south in New York, there are a variety of options in the Catskills, all within 2-2-1/2 hours from NYC. Designed to encourage new visitors to come and enjoy winter there, NY state is offering the Catskills Winter Sampler which includes one unrestricted adult lift ticket good any day of the 2012-2013 season and is available online at www.catskillswintersampler.com. Child-friendly perks: Beginner lifts, kids camps, voted one of best places to learn to ski, snow sports school, kids camp, beginner packages available 13 and older. Best time to go: Anytime other than school holidays. Accommodations: Family-style to four star, no ski-in, ski-out. Best time to go: Mid-week tends to be less crowded than weekends. Terrain: 38 trails, 2,200-foot base elevation. Child-friendly perks: Dedicated novice area. Kids 7 and under are free. 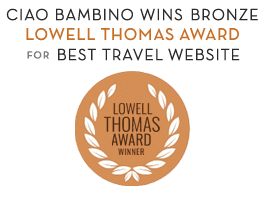 Snowboarding, snow tubing and snowshoeing. For more fun family winter ideas and information in New York State, visit http://www.iloveny.com/winter. Photos by Ski Areas of New York. We love the resorts listed above but you should also give Mount Peter in Warwick, NY a look too! We’re about an hour out of NYC and within easy drive of Central and Northern NJ. Free beginner lessons on weekends and holidays. Take the day, come out and play!